It's easy to get misty eyed when you hear the opening notes of "California Dreamin'" or "Monday, Monday." 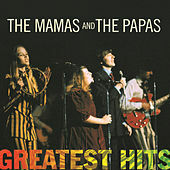 As this collection can attest, the music of the Mamas & Papas epitomizes the optimism and hazy worldview of the latter half of the '60s. There is also darkness underneath the smiles, as the songs of John Phillips exude more than just the joys of communal living.